Through my discussions with artists, researchers and museum staff, some key themes have emerged. There are inherent challenges associated with choice when we are asked to make value judgments on human life from a predominantly clinical perspective. Also it seems that the current understanding of genetics is from a scientific standpoint and this has managed to create distance between the human and emotional. This has to some degree “switched off” the public to the issue, not seeing any urgent need for discussion, as generally genetics is not seen as having personal relevance for individuals other than an acknowledgement that our genes to some degree inform our identity. In an interview with Damian Hebron, Director of London Arts in Health Forum he explored the strategic need for disabled artists to fully engage with this field. My concern with trying to present a balanced view on the pros and cons of genetic screening has been somewhat shaken in the last few days in reading the final findings of Dr Felicity Boardman’s research survey of individuals and families with SMA. Although the qualitative data would suggest that those surveyed agreed that people with SMA (particularly type 2) could have fulfilling lives, when asked if they would support screening the majority (around 70%) still said yes. My worry is that my voice is now a quiet one. So rather than presenting all viewpoints, my work needs to reflect my particular perspective in order not to be drowned out. 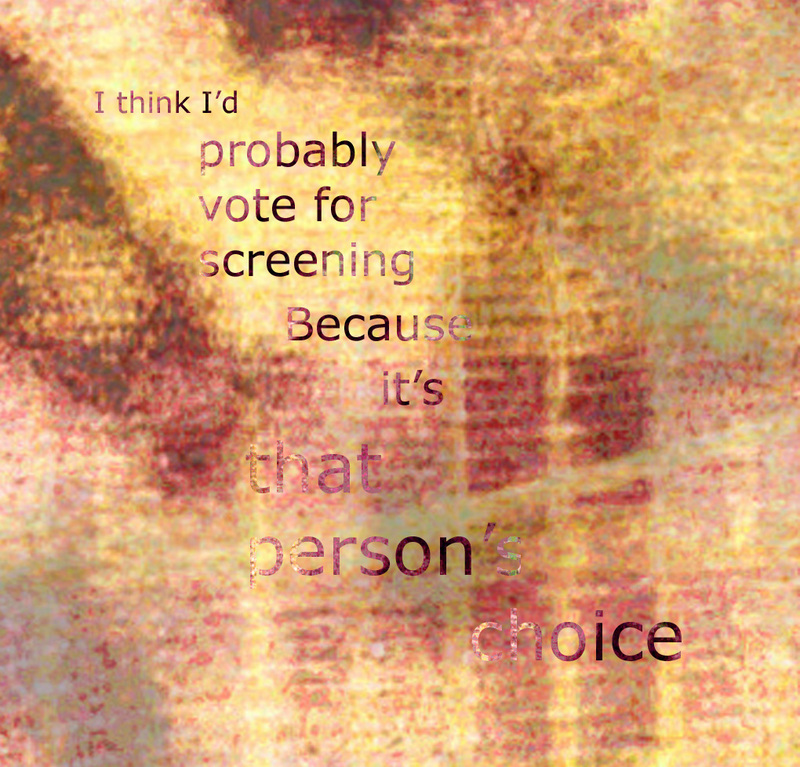 We are heading down a dangerous road where providing people with the option of screening may appear on first glance as a good thing – knowledge is power and why should we deny people choice? But what are we going to do with this knowledge and how will we justify our position if we want to continue with a pregnancy if a disabled child is deemed to be an economic drain on society? This may well be a Pandora’s box, that once opened we wish it had remained closed. Interest in DNA - is it a gender thing? As I draw to the end of my research and development project I've been exploring in more detail the demographic of the audience at the Science Museum to help inform an audience engagement strategy. Two things struck me in particular. Firstly from an evaluation study, one of the reasons the temporary exhibition case that focussed on issues about HIV was popular, was because it told the human story and there was a narrative that came from real life experiences. It put humanity into the science. Visitors expressed a desire to have a more emotional response to some of the scientific topics and hearing real life experiences helped to do this. Secondly, visitors were asked to identify the top three topics they had learned about during their visit to the Who Am I gallery. Number 1 was genetics and number 3 DNA. Maybe that’s partly what you would expect, however, what was particularly interesting was that men were far more interested in DNA than women. The detail around DNA and Chromosomes was seen as more "scientific" and complex than some of the other topics. People, particularly families and women, could relate more to the idea of inheritance rather than the "faceless" notion of genetics. This helped make sense of some of the questions I've had around why there has not been the wider public debate that I was expecting. I had put it down to fear of being judged on an issue that is by its nature, emotive and complex. However maybe there is a further explanation. That people feel removed from the subject as its too scientific. Therefore my desire to put the human and the experiential right back into the heart of this issue seems to be exactly what's required. I hope as well that once women realise the subject of genetics and DNA is inextricably linked to our reproductive choices and decision making processes they will see this as relevant to them. In fact we need to ensure that information about genetic choices are not only presented to us by predominantly male “experts” from the medical profession, but claim back the issue as an emotional and human one. I also had my concerns that in the relatively playful setting of the Who Am I gallery, the difficult and somewhat upsetting issue of genetic screening might be out of place. But reflecting on the evaluations I think audiences are actually wanting more emotion and don't want their science sugar coated. One particular visitor experience resonated with me. She was a student and had opened up to her teacher about her concerns relating to her sister who had recently had an abortion. An exhibit had allowed her to speak about this and express her thoughts. Maybe this is part of the value of a space that allows for reflection on these things in a setting that isn't judgemental or intimidating. Also I believe part of the reason for art, is to disturb and probe. One of the other findings in the survey was that visitors liked the art in the gallery. But they were quite disturbed by the Anthony Gormley bronze baby abandoned on the floor. Therefore it seems art is doing just what science museum visitors want. Putting more emotion and humanity into the subject. Christmas, amongst other things, is the season of games. 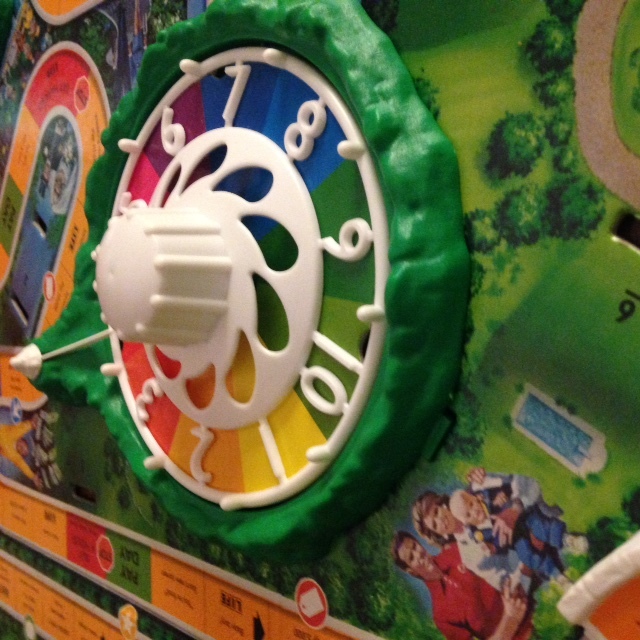 Reminiscing about a childhood favourite I started to contemplate The Game of Life. This board game simulates a person's travels through his or her life, from college to retirement, with jobs, marriage, and possible children along the way. I loved the plastic landscape with bridges, churches, country houses and the possibility of retiring to the millionaire’s mansion. I also particularly enjoyed setting off as a small peg in my car and collecting other pegs (in the form of a husband and children) along the way. However, it puzzled me as to why the very mundane nature of this game held such an appeal for me. But it appears that the Game of Life does not only appeal to me. I was surprised to discover the game was originally created in 1860 by Milton Bradley as The Checkered Game of Life and that it sold 45,000 copies by the end of its first year. In 1960, the 100th anniversary of The Checkered Game of Life, the first modern version of The Game of Life was introduced. It is still going strong today so why are we so intrigued by the fundamental principals of the Game of Life? Perhaps it is because at the beginning of our journey we never really know what lies ahead of us and this game is a form of escapism where anything is possible. Consequently I was interested to discover that an updated version of the game was released in 2005 and the new version reduced the element of chance. Surely that is the whole point and joy of the game? However this made me wonder whether this actually says something quite profound about our modern aversion to chance and instead our race towards being given more and more information in order to make our own decisions. I had always intended to create some kind of interactive element to the piece of work at the Science Museum and had been contemplating a digital game. Revisiting this classic board game has given me a new area of enquiry to explore. 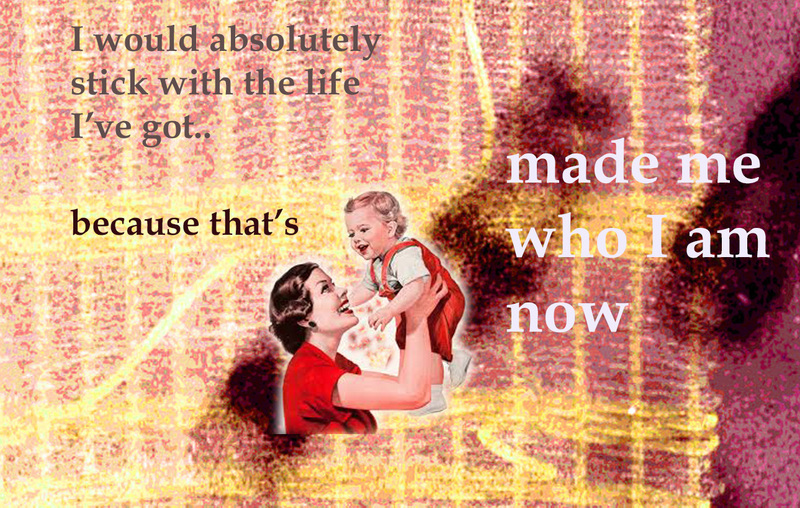 It also seems to symbolise the heart of the more modern day dilemma of genetic screening. The problem of choice and information as opposed to having to face whatever the game of life throws at you. So my thoughts have turned towards creating a game of chance or choice. If you spin the wheel what will unfold before you or if you take an information card how will you make the choice and progress through the game? Now that I am following along this pathway the imagery and visual language is also falling into place. A comic strip set of questions and alternatives, following two couples on their journey as potential parents. A 1950’s couple setting out on their own game of life based on chance, spinning the Game of Life wheel, or a future couple presented with knowledge and decision cards. Which game path would you set out on? Since my last blog, I have been thinking about the importance of depicting multiple viewpoints relating to genetic screening in the final piece of work. In particular, the choice of materials will be integral to the way the concept is explored. I have been considering a range of options but I am most drawn to the idea of printing on glass, to create multiple layers where sometimes text is visible and sometimes the negative spaces become equally important. The text will be based on some of the statements that have emerged from the research Dr Felicity Boardman has been undertaking into opinions on prenatal screening. I particularly wanted to use layers of glass so the viewer could move around the work reading it from different sides. At moments only one side of the debate would be visible, then others would emerge. However on my visit to the Science Museum, when I started to investigate the technicalities of hanging the work, it transpired that the exhibition case I would be using had a fixed back panel so could only be viewed from one side. This has of course meant a re-think on my part. It doesn't preclude the idea of printing multi-layered glass panels representing multiple voices and there may be ways it can be lit which highlights one viewpoint then another, but it will still be viewed from the front. From one side. This got me thinking more about the audience. This was my second visit to the Who Am I gallery and again it was very busy, predominantly with young adults and some families. It made me wonder whether this might be the first time they will be asked to consider what they feel about genetic screening. It therefore seemed more important than ever to really interrogate how art, rather than just the science behind the issue, can open up space for a more multifaceted debate. I believe that if you approach a difficult topic such as genetic screening in a way that is creative, you allow people to feel less restricted and concerned about saying "the wrong thing". I also think it is part of the role of the artist to encourage people to explore different perspectives and perhaps shed a new light on something. The previous week I had been at an event hosted by Heritage Lottery Fund and over lunch, was talking to Gus Garside about Carousel’s project Curing Perfect. http://curingperfect.com/ is an online graphic novel where players are asked to negotiate what a perfect world might look like. This project is led by learning disabled artists and filmmakers and came out of discussions they were having in response to latest genetic advancements for “curing” Down Syndrome. They are partnering with Birmingham University and this project is a fantastically creative approach to the subject and has public engagement at it’s heart. A core part of my practice wishes to engage the wider public with the issue of genetic screening, but I feel there is still some reticence and this may be a bigger challenge than I had originally anticipated. Even on this blog there has not been as much public discussion as I'd hoped. On my personal Facebook page I am getting more comments and this made me wonder whether my friends felt “safer” and more able to comment on my own private space rather than on such a public blog. If so, is there still anxiety about expressing views on this emotive subject in such a public way? Any thoughts on how to engage more widely with the public would be really helpful during this stage of development and all opinions are welcome, this is not just a one sided debate. Loss. Loss of function, loss of independence, loss of control and perhaps loss of life is often associated with disability. Over the last week or so this was brought sharply into focus in relation to the proposed Assisted Dying Bill. I have the genetic muscle wasting condition, Spinal Muscular Atrophy that would put me into the bracket of perhaps not having more than six months to live. Indeed my parents were told that, at age two, my life expectancy was limited. I have always been rather rebellious so I’m delighted that I am now planning my 40th Birthday next month and proving there is no certainty in life. However the issues are complex and I was starkly reminded of this when discussing the rights and wrongs of the right to die with a good friend who had nursed her mother through a very painful death. She could only see the benefit of providing families with some way of helping to end the pain of their loved ones. We reached stalemate. I am afraid that my rights to life would ultimately be eroded and lost, and my friend terrified she may lose another loved one in that way again. Choice is usually seen as positive, as a gain. However does in fact giving us more choice create a whole other set of dilemma’s that ultimately means we have much to lose? My arts practice centres on the intricacies of our genetic inheritance and the ever-increasing advances in genetic knowledge, which offer us more choice and more options. This research and development project is also an opportunity for me to collaborate with the researcher Dr Felicity Boardman from the University of Warwick. She is currently undertaking the research project “Imagining Futures”, which explores the social and ethical implications associated with the expansion of genetic screening, focusing on the genetic condition Spinal Muscular Atrophy (SMA). Developments in genetic medicine over the past 50 years have had a great impact on the number and nature of decisions to be made by prospective parents. Felicity is looking at the relationship between experiential knowledge of disability and pre-natal screening decisions. We started to discuss the sorts of responses she has had to her survey asking those with experiential knowledge of the genetic condition SMA whether they would support pre-natal screening for the condition on a much wider scale. I had made an assumption that the response would be predominantly positive. This assumption was based on the knowledge that many of the parents who had babies with Type 1 SMA had been supporting the case for screening. Their experience is very different to mine. They have the pain associated with the loss of a baby, who often dies before they get to a year old. Many of these parents do not believe it is right to allow a child to enter this world for such a short amount of time, particularly when their short life is spent predominantly in and out of hospital. Of course there is also the argument that all life is precious. But to complicate matters further, SMA types (I have Type 2) cannot be predetermined by the test. Part of the argument will be that in order to stop the pain of loss for those who have the experience of Type 1, that it is justified to lose people like me. I’d just be collateral damage. As our discussions progressed it became clear that the survey was actually confirming the nature of the complexities of the argument and there were no clear winners in this debate. Obviously I have my own perspective and experience. I believe I have gained so much directly as a result of my lived experience of disability and I am much the richer for it. I have had to think creatively, solve problems, be tenacious, be a good communicator, and develop empathy for others knowing life is seldom as it seems. Of course there are days when I wish my life would be easier, when I could pop to the loo like everyone else without careful planning etc. However, if I had the choice of gaining physical function but at the expense of potentially losing the essence of my identity I would reject that choice. My dilemma is that I wish my creative practice to explore the whole gamut of perspectives within this complex debate, not only my own viewpoint. I do not wish to make work that has to potential to lose the diversity of perspectives so my next choice will be how do I create a visual language that can give space to describe the losses and the gains. As I enter the Who Am I? gallery in the Science Museum I am struck by the scale and futuristic quality of the space. Space age style pods investigate human character traits and row upon row of large glass cases filled with a multiplicity of objects all explore our understanding of identity. The curator Suzy Antoniw explains to me that this gallery is one of the most popular areas of the Museum and is particularly popular with teenagers. Perhaps this is because this gallery is very interactive; or perhaps it is because it seeks to explain the very essence of what makes us who we are. We are fascinated in finding out more about how our bodies work and in particular how our biology informs our identity. But there is something more profound that intrigues us, more than merely explaining the Science. Perhaps this is why we invented philosophy and art, to compliment the scientific discourse. 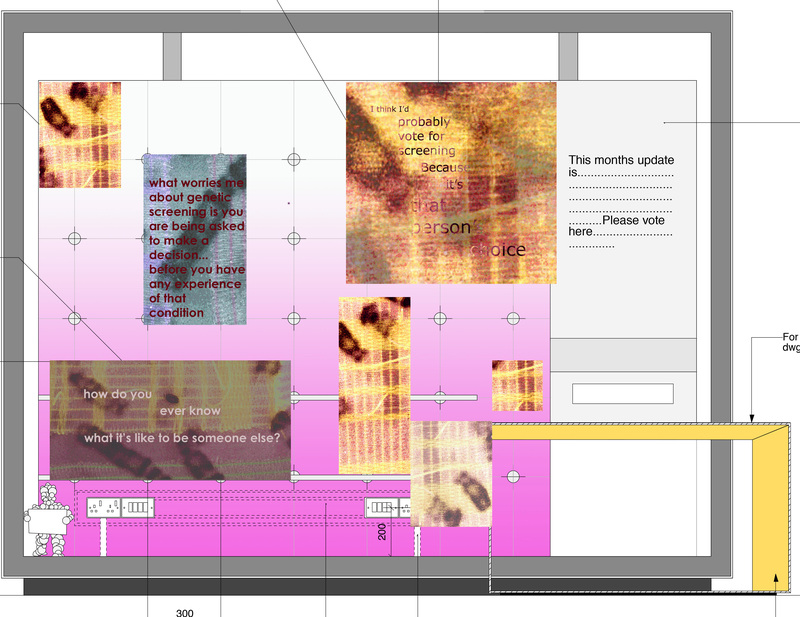 It is this collaborative probing into questions about our identity that interests me as an artist. Suzy talks with me about their artist commissions in the gallery, one of which is an Antony Gormley bronze baby, lying helpless on the floor as if escaped from the confines of one of the glass shrines. She also discusses their commitment to sharing different perspectives of how we understand identity and is particularly interested in my ideas about creating a dialogue about genetic screening. Suzy explains that they have one particular case that they use for temporary exhibitions and it is this space that I could potentially use to show a new piece of work. Currently they are displaying a 3D print of King Richard III skeleton and an explanation of how they have uncovered his genetic heritage. It seemed somewhat poignant to me, as I looked at what could clearly be seen as the curvature of his spine, that I was looking at a disabled man. It seems more and more likely that some disabled people will also become relics like the skeleton lying in the case. As I move from case to case reading about how memory, genetics, language and gender are all profound in shaping our identity, I begin to question what the fundamental components are that make us human. These underlying questions resonated for me later that week when watching the film Ex Machina, where a young programmer is selected to participate in a breakthrough experiment in Artificial Intelligence, by evaluating the human qualities of a female A.I. In the end we are left to contemplate that without empathy, love, forgiveness and compassion then can we really be human. In fact it seems a current trend that we are preoccupied with the quest to discover the difference between man and machine. The latest Channel 4 series Humans is an exploration of this. But there is also a more sinister commentary about the very infrastructure of our daily lives and the value we place on human beings. In this series “synths” provide roles that are currently filled by people; nannies, carers etc. So is this where we are heading? Towards a future which is in danger of de-valuing the essence of what it in fact means to be human; care, love, compassion, empathy. 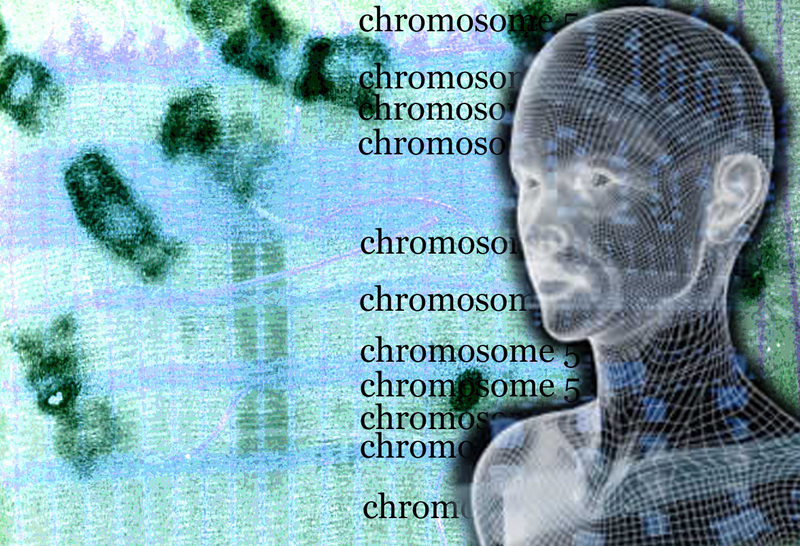 Perhaps there is only a tenuous connection between advances in AI and genetic screening, which was the starting point of this reflection. However I believe if we are pursuing an excavation into what makes us who we are then these things are intrinsically linked. If we continue our journey towards eradicating difference and imperfections in the bid to homogenise then we are potentially on the cusp of destroying the human spirit. So at this juncture, when I am re-establishing my practice, I thought it pertinent to take a moment to reflect on my interest in genetics and some of the projects that have occurred over the last few years. One thing in particular I wanted to re-visit was a proposed project called Resonant Frequency, in which DAO was a key partner. This was a project which was developed during 2008 in partnership with ITHACA and Science Oxford and although was unsuccessful in achieving funding, it inspired debate and created a dialogue between Deaf and disabled artists and Scientists. The central question at that time was how could we foster trust and understanding that goes beyond the stereotypes that abound on both sides of the fence? So have things changed and have we made great scientific and artistic leaps in the field of collaboration? The short answer I feel is probably no. I still passionately believe the artist has a fundamental role in illuminating understanding about issues relating to medical ethics and science. Although collaborations between artists, scientists and ethicists are reasonably common, I feel the disabled artist has a particularly profound role to play. I believe this because disabled people are rarely engaged in discussion relating to medical ethics. Or if we are, we seem to occupy the space that is our medical condition. So how can the disabled artist bring into the spotlight the value of experiential knowledge in relation to medical ethics? And perhaps crucially, how do we go back to that central question of fostering trust and understanding between disabled artists and scientists. Perhaps by using creative practice as a methodology for developing a shared dialogue that can be used to probe, question, cross-pollinate and inspire. At the heart of developing that language I believe must be quality practice. I am not implying that only the disabled artist has value in contributing to the arts and science arena. There are other artists who are creating interesting and inspiring work, in particular I was impressed by a recent commission at Chatsworth House by Jacob van der Beugel. An entire ceramic room is being created using textured, handmade ceramic panels. Using samples from the Duke and Duchess, their son Lord Burlington and his wife Lady Burlington, the panels are embedded with a depiction of the Devonshire family's DNA. This is an interesting and creative take on the traditional portrait. The quality of this installation is exquisite and it fulfils my interest in valuing the role of craft, decoration and architecture to explore issues of hereditary and identity. This work is also said to “play with ideas around ancestry and inheritance as past and future members of the family are linked to the wider pool of humanity”. However, would there be an additional dimension to this work, the process, or the final product, if the artist had a different understanding of genetics? And that understanding in fact threatens the future of others with a similar genetic predisposition? One of the reasons I feel there has not been dramatic progress in bringing together disabled artists and scientists could in fact be related to the lack of a platform to fully examine quality. Is there an unsaid prejudice amongst commissioners that disabled artists working in this field cannot stand up to robust scrutiny and consequently there is a fear on both fronts to fully commit to risk taking and innovative commissions with genuine collaboration as an integral part of the process? So we are back at this central question again. 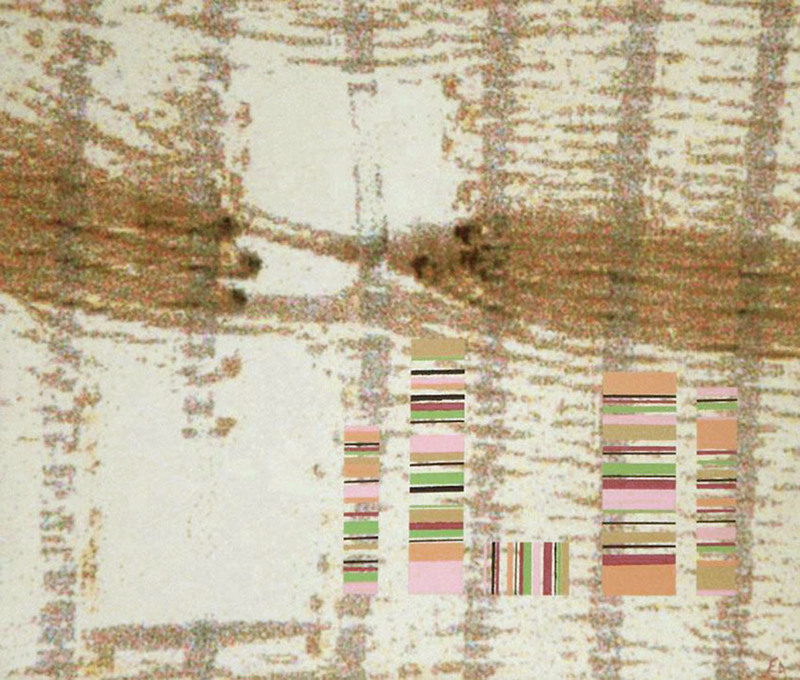 How do we create a space where we can trust in a frank and robust dialogue, not only around challenging issues such as genetic screening but also relating to assessing the quality of the artistic practice? Through the process of writing this blog I am hoping to create a space where all opinions can be shared. With that in mind I would like to pose two questions: Do you feel the disabled artist does offer a unique insight into creating work that explores the field of medical ethics? Do we need to be braver about how we critique our work, and be prepared to seek out new collaborations that challenge our thinking to ensure we are always raising our game? At a time when the ethics of genetic screening is at the forefront of public consciousness I feel compelled to explore the role in which I, as a disabled artist, could engage with and inform this discussion from an alternative perspective. I believe the arts are fundamental in elucidating our understanding of identity, health and potential treatments. My practice explores how the tiny intricacies of biological life have vast social implications relating to medical ethics. I have just received a small research and development grant from Arts Council to explore how socially engaged arts practice can create opportunities for public debate about genetic screening. This R&D period will allow me to interrogate some of the key themes in my work. My practice is concerned with the fabric of life, the DNA of our personal and cultural experiences, exposing the fragility of biological structures and unveiling the hidden. I mix the ancient craft of tapestry weaving with contemporary materials and processes, to create intricate structures, which are photographed and projected on a much larger scale; the miniature in opposition to the vast; the historic set against the future. These delicate and flawed structures provide a metaphor for the genetic fabric of our being. The gaps and holes within the weave are exposed and magnified and the negative spaces become the visual focus. The spaces between encourage questions about what is missing or eradicated. The transient nature of projection also emphasises a sense of loss. Alongside these transitory pieces, I capture these projected images by printing them onto canvas, making permanent what otherwise would not exist. Painted marks are added to the surface, building up further layers of handmade marks in opposition to the digital. Central to this research and development period is a collaborative process, between artist, scientist, digital developer and Museum. This process will enable cross-pollination between artistic and scientific understanding and will push the boundaries of my practice. I will be working with a range of partners including Dr Felicity Boardman, from the University of Warwick to explore the role of ‘experiential knowledge’ of disability in prenatal testing decisions. I will also be working with web developer, Peter Pavement, to design a platform for public interaction with the work via online or mobile phone applications. I would like to explore the potential for Alternative Reality Games (ARGs) as well as developing a series of images exploring ideas of non-existence using projections which appear and disappear. I have begun conversations with the Science Museum and hope to further explore with them over the coming months the potential for working with their Who Am I? gallery. At the heart of this project is engaging the wider public and artists with the gritty issues relating to genetic screening. As part of this process I will be writing a series of blogs for DAO where I hope to enable a critical discussion about the role of the artist in the field of medical ethics, in particular the important role disabled artists may play in this field.